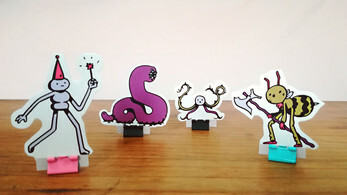 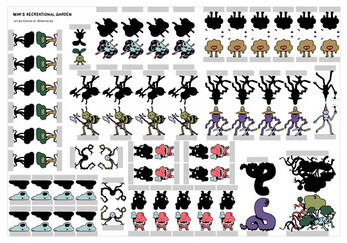 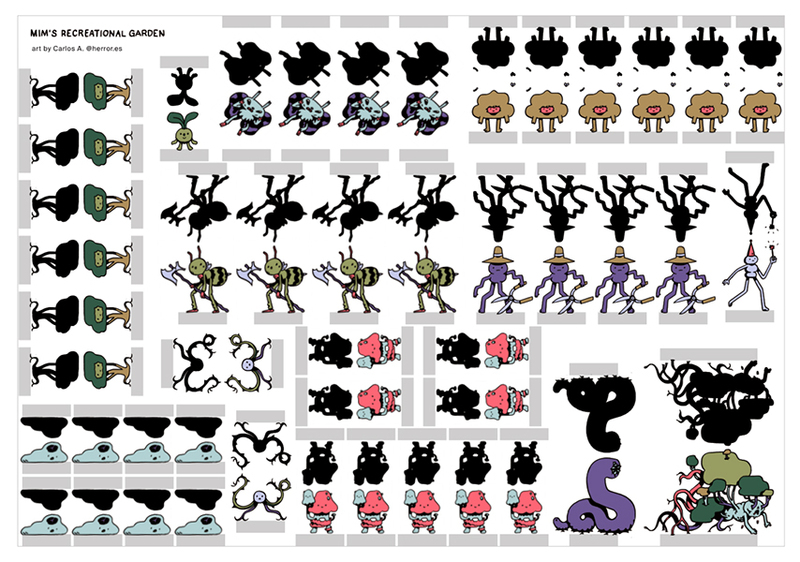 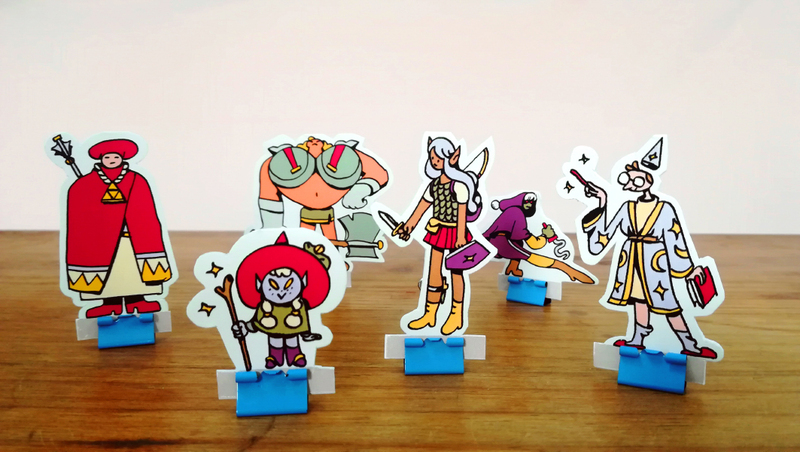 This set of paper miniatures contains 12 diferent monsters and 6 player characters. 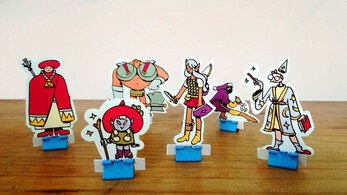 Illustrations are full color and the minis have black backside and bases. 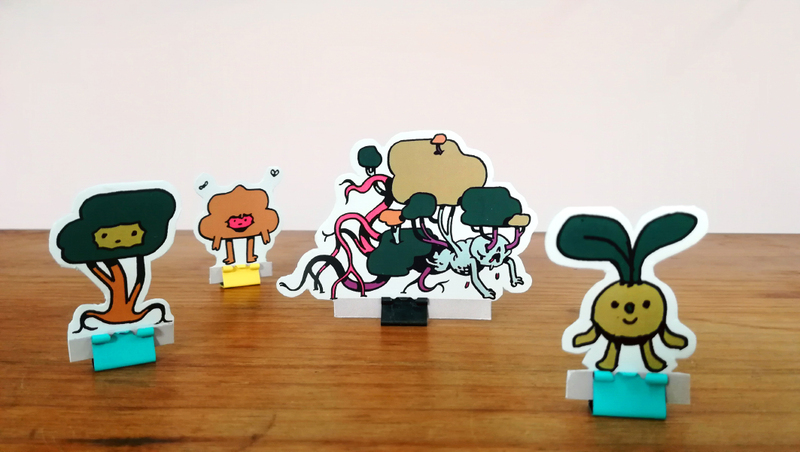 The minis come in two sizes, the regular 28mm scale with 1 inch bases, and an oversized alternate. They are mounted on two A3 sheets.